See pages 1 and 3. Abortion clinic location for Dr. Howard Reisman. 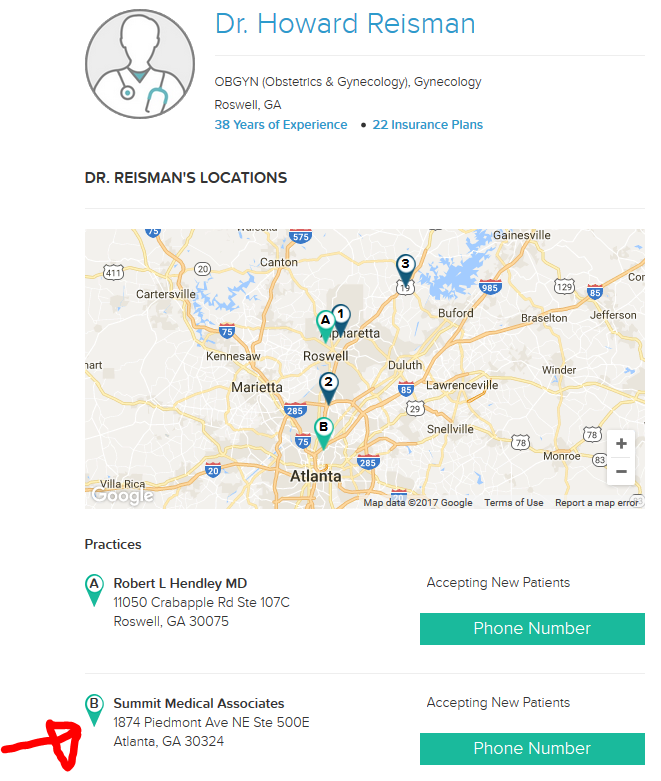 Dr. Reisman listing at Summit Medical Center abortion clinic in Atlanta, GA.
Dr. Howard Reisman's ob/gyn website. THIS CLINIC DOES NOT PERFORM ABORTIONS. 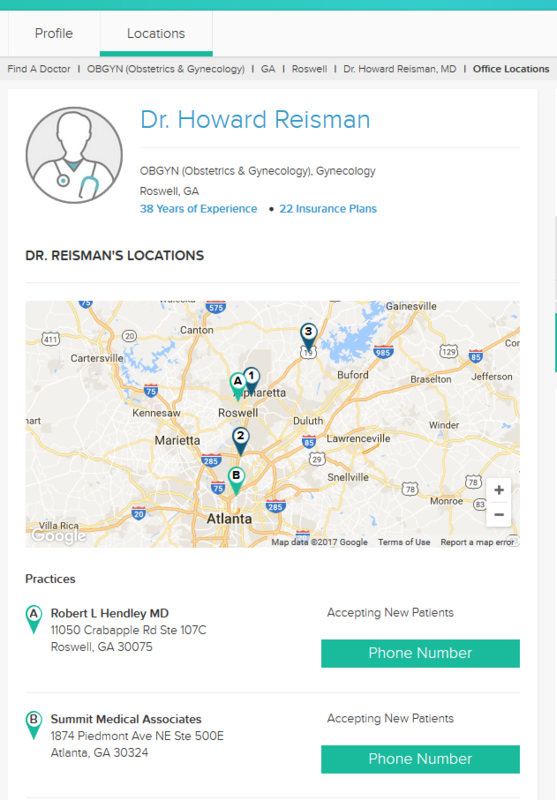 Dr. Howard Reisman's photo bio on his ob/gyn website. THIS CLINIC DOES NOT PERFORM ABORTIONS.